(Auburn, CA) Auburn is great if you want something a little more outdoorsy and adventurous. There are tons of great river side locations and overlooks. just make sure to brings some hiking boots. (Elverta, CA) Gibson Ranch is a very large park with both paved and un-paved paths, large fields, a pond with a few docks, rustic fences, and secluded wooded areas. this is a great location if you want to stay in one place but get diverse backdrops. (Placerville, CA) Apple Hill offers something different for each season. From pumpkin patches to apple orchards, Apple hill provides a diverse group of local orchards to explore during your photo session. (Sacramento, CA) Capitol Park offers a more urban/modern feel; however it provides a lot of room to get away from the crowds of downtown Sacramento. There are many different types of trees and flowers to highlight in your photos. (Downtown Sacramento, CA) Old Sacramento is diverse, colorful and is in close proximity to tons of great options. There are great nooks and crannies all over that provide interesting color and texture. There are also a lot of older boats that line the nearby river. (Clarksburg, CA) Old sugar Mill provides an interesting mix of modern and industrial. Old brick and rusted iron are everywhere and a good mix of indoor and outdoor options make it a great "rain or shine" location. Please note that Old Sugar Mill charges for the use of their space and requires permits. (Tahoe, CA) If you want mountain views and truly unique photos, Tahoe is the place to go. Perfect for the adventurous couple or family who want nature to be heavily featured in their photos. While Tahoe is great, please note that there are some areas near cliffs and uneven ground and it may not be the best option for small children. (Davis, CA) Davis Arboretum is awesome! The park itself is huge and offers tons of space to spread out and work in a lot of different areas. It features a beautiful garden with flowers of all colors and many different options for a wooded look. (Yosemite, CA) Yosemite is truly breathtaking. 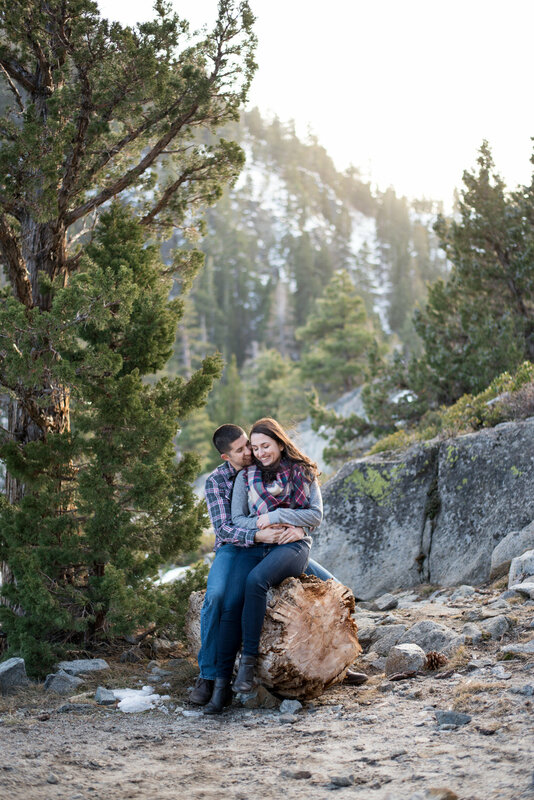 With towering rock faces, beautiful foliage and sunsets so perfect they seem fake, Yosemite provides an extremely beautiful background for your photos. Let's go! (Marin County, CA) Muir Beach is beautiful and easily accessible for all session types. It offers a lot of space to spread out from the crowds and tons of great rocky areas that provide some textural intrigue. To be honest, all beaches are a favorite of ours! Be the first to see new stories when they are uploaded to the journal.